Your donation goes to the direct care and shelter of the sanctuary's rescue animals like Molly (who was used a bait to train pig-hunting dogs) as well as our ongoing rescue and education efforts. We could not do our lifesaving work without you. All donations over $2.00 are tax-deductible. Where Pigs Fly Farm Sanctuary is a non-profit, registered charity with the Australian Charities and Not-for-profits Commission (ACNC). 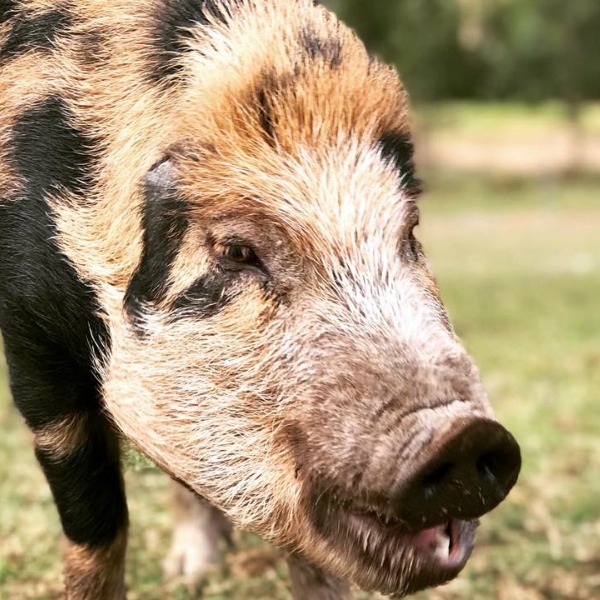 Where Pigs Fly Farm Sanctuary is dedicated to ending cruelty to farmed animals and promoting compassionate cruelty-free living through education and advocacy efforts. All donations are gratefully received, our life saving work would not be possible without your help. Donations can be made via PayPal, credit card or by direct bank transfer. Please select payment method when making the donation. Where Pigs Fly Farm Sanctuary is a registered DGR charity. All donations over $2.00 are tax-deductible. You will receive your tax-deductible receipt via email shortly after donating.